Investors have now seen oil prices decline by at least 25% since June. It is the bright spot in the present slow down in the global economy and the roiling stock markets around the world. It is a welcome relief to consumers in East Asia, Europe, Latin America and the United States. It is estimated that in America alone, the annual savings in transportation costs will average at least $500 USD (United States Dollar) per household. It will at the same time bring financial and monetary difficulties to three different countries that are overly dependent on oil revenues. These nations are Iran, Russia and Venezuela. All three of them have been fomenting trouble against the present international order. These states have been in aggressive opposition to American and Western foreign policy objectives on a variety of issues over the past few years. It has been made possible by soaring oil revenues which are now rapidly reversing. The governments in question all depend on oil receipts to supply more than half of their national budgets. All three depend on oil prices that are unrealistic in present market conditions. Russia financially needs oil to cost at least $100 USD a barrel. Iran is in the worse straights with a need for prices to be somewhere in the neighborhood of $140 USD. Venezuela is in the middle with a need for world oil prices to average $120 USD. Last week saw Brent oil dip to as low as $85 USD a barrel. Worse yet, Venezuela saw the price of it’s heavy oil actually plunge below $80 USD. Last Friday it reached a low of $77.65 USD. If oil stays at these levels, ( $80 USD a barrel) Venezuela will lose between $8 to $10 billion USD on an annual basis. In Venezuela, plummeting energy prices could not have come at a worse time. 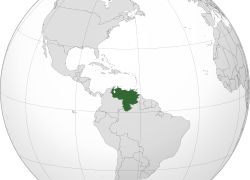 The country has bought influence in Central America and the Caribbean with largely subsidized oil. Last year these sales reached $114 billion USD. Cuba alone receives at least $10 billion USD in energy supplies from Venezuela at a price well below market value. The question is can the government afford a foreign policy that is funded largely from oil revenues? The short answer is no. What is ironic is that Venezuela has the largest proven oil reserves in the world. Investors in Venezuelan debt can see evidence of the fiscal crisis already. There is a shortage of hard currency to pay international based airlines and the manufactures of foreign drug imports. 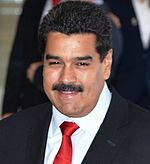 As speculation about a possible sovereign default on international debt mounts the cost for insuring Venezuelan debt keeps escalating. Although the government continues to insist foreign creditors will be paid, analysts have estimated the only way this will be possible, is for a roll back in energy subsidies inside the country. This will need to coincide with a withdrawal or a scaling back of foreign assistance in the form of heavily subsided oil. In addition, it is most likely that a major currency devaluation will need to take place as well. 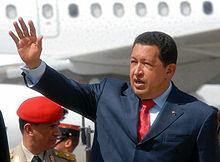 The present official rate is 6.3 bolivars to one United States dollar. It is an unrealistic valuation that cannot last, and is already being breached in practical application. Any reform of the government exchange controls will be a devaluation to be sure. 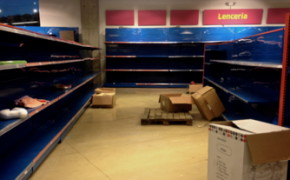 In response to the oncoming crisis and shortages already occurring in Venezuela, the government is enacting rationing of food for the citizenry of the country beginning yesterday. The only other two countries who employ this action are Cuba and North Korea. What has brought this about in Venezuela, is the constant government intervention in the economy. Nationalizations of major industries and a number of companies have only made matters worse. Local industry is no longer productive. The complex currency program does not permit the country to earn sufficient dollars to pay for necessary imports not only in finished products, but other necessary inputs for manufacturing inside the country. 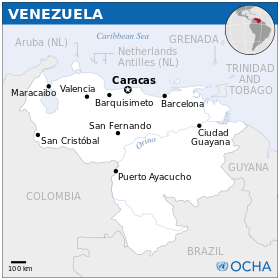 The government of Venezuela is insisting that the shortages are mostly due to smuggling. Travelers to Venezuela will see many basic grocery consumer items already under price controls,which provides an incentive to take the items across the border and sell them in Colombia. Analysts have calculated that a total of 10% of these necessary grocery items are sold outside the country. Smuggling is a problem to be sure, but the government is claiming the amount is closer to 40%. The government of Venezuela has responded to the problem by closing the border with Colombia every day with the arrival of nightfall. There also has been mass arrests of smugglers and shoppers that government officials believe to be involved in the activity. In addition to consumer items other basic necessities are rationed as well. For example water supplies are just simply shut off for more than half the time to deal with shortages and problems of delivery. Heavily subsidized gasoline is also limited in sale to individual customers. It costs less than a penny a gallon while in neighboring Colombia it averages over $4.00 USD. One can easily understand the incentive for smuggling. How close is the country to default? Well, it actually already defaulted on loan obligations with China. Venezuela already is the recipient of half of all Chinese loans to the region. Since 2006 the country has borrowed the equivalent of $50 billion USD. Out of the 640,000 barrels of oil exported to China on a daily basis over half went to servicing its debt with that country. It was made official last week by Venezuela and confirmed by China that the terms of the present loan have been modified. China had little choice. The only way the terms of the loan could be met was for Venezuela to increase exports of crude to China. This cannot be done easily, especially under the current conditions of the oil industry inside Venezuela. The 3 year length of the loan has been extended, in reality indefinitely. This is because Venezuela is free to export as much or as little oil to China as it wishes to service the loan. This action does free up this oil capacity (330,000 barrels a day) for other purposes, but it also makes it unlikely that China will provide any further loans to the present regime in Venezuela. The savings is worth about $25 million USD a day or $9 billion USD a year. This aforementioned situation simply illustrates how desperate the government of Venezuela has become. The fait accompli presented to China is not the way a nation can conduct business and still be respected in the international community. 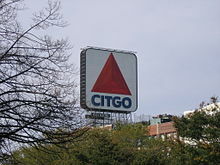 The impending sale of the Venezuelan owned United States based Citgo company is expected to generate up to $10 billion USD. The Venezuelans also have a 50% stake in the Chalmette refinery in Louisiana alongside Exxon. This investment may also soon be on the auction block. There is a $3 billion USD international bond payment that Venezuela will need to meet next week. The government continues to insist that all obligations will be met and that they are fully prepared to deal with market uncertainties in the oil industry. Venezuela will need to repay over $10 billion USD over the next 3 years. It is important to note that 96% of all foreign exchange reserves earned by Venezuela, are generated from crude oil sales. International reserves have fallen by more than 30% since the start of 2013. They have now reached a low of $19.78 billion USD. The nonsensical position of the government can be seen in the presentation of the 2015 budget. Contained within the presentation is the belief that inflation will range between 25% to 30% and economic growth will be 3%. Inflation is running rampant at over 60% and the country of Venezuela is in recession and likely to remain there well into the future. International experts expect the GDP (Gross Domestic Product) of Venezuela to decline by 2.9% next year after a nearly 4% diminution this year. In addition, the fiscal deficit is likely to equal 3% to 4% of GDP both for 2014 and 2015, despite official government proclamations to the contrary. The future for Venezuela is precarious at best. There will be a sovereign debt default or a change in government. It is just a matter of time. If the present crisis continues both scenarios become increasingly likely. Except for foreign assets, potential investors in Venezuela need to keep their distance for now. Previous Post → The Mona Lisa Trade: 10.25 Points!! !